HockeyRevolution has developed a line of hockey training aids & equipment for dryland (tiles) surface to improve your stickhandling, passing, shooting. Hockey Sunglasses for Hockey people. Player, Goalie & Goon glasses all available. Put the game on! 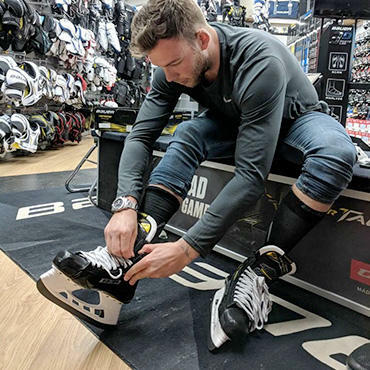 We can provide you with all of the Hockey gear you need to dominate on the rink at the UK's largest Hockey store. Puck Stop is an online hockey store run by hockey players, for hockey players. We're a family-run business and we’re players ourselves. 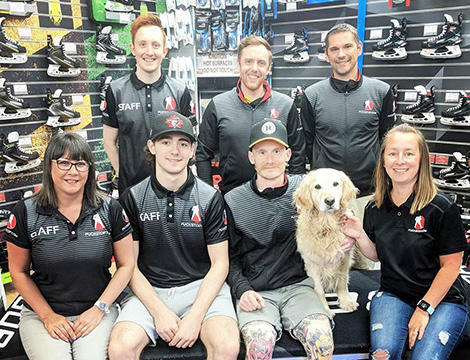 Established in 1995, Puck Stop was launched after we struggled to find ice hockey equipment for our son at affordable prices - or a shop with staff who understood our needs. Here at Puck Stop, we know how important it is for your ice hockey gear to not only fit well, but improve your game. Why choose Puck Stop for ice hockey equipment? Top-quality brands at affordable prices. 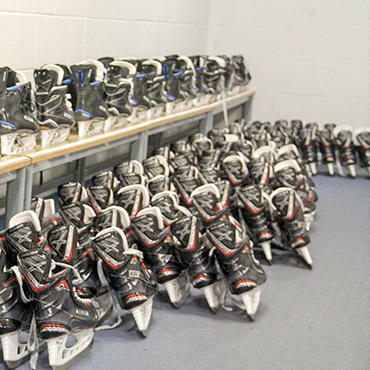 We’ve got you covered from head to toe, for all of your ice hockey equipment needs. From the newest CCM, TRUE and Bauer ice hockey skates, right through to the latest lightweight ice hockey helmets . We offer products from the best brands our industry has to offer – at prices you can afford. At Puck Stop, we supply ice hockey accessories, ice hockey sticks and skates for all abilities. Whether you’re just starting out or competing at the highest level, you’re sure to find what you’re looking for. As players ourselves, we review the products we sell. Our team strive to provide key insights into our products, ensuring our customers make informed decisions - whether that’s with online reviews or in-store discussions with our expert staff. If you’re interested in having an in-depth look at the newest products, head on over to our news section. For instance, take a look at the new low kick Alpha QX Warrior Hockey Stick review. Or for a skate built for comfort and power, check out our evaluation of the TRUE Custom Player Skate. We understand what players need and offer recommendations. Some of our best-selling products are Bauer ice skates. The Bauer Supreme S150 Junior Ice Hockey Skates and the Bauer Supreme S150 Senior Ice Hockey Skates are popular skates due to their explosive power.